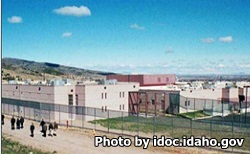 Pocatello Women's Correctional Center is located in Pocatello Idaho. It is a mixed custody facility that can incarcerate up to 289 female offenders of all custody levels. It acts as the reception diagnostic and classification hub for all female offenders in the state. Pocatello Women's Correctional Center offers a variety of vocational courses and educational classes that inmates can participate in to learn new skills. The facility also takes part in the correctional industries program which offers work details to inmates. A pre-release, and work release program at this institution help prepare inmates for life once released during the final stretch of their incarceration. All visitors must first fill out a visiting application and have it approved before they can visit, a process which takes 2-4 weeks. Once approved you can visit your inmate at the following times, which are divided by the unit the inmate is in. Please remember you must arrive thirty minutes prior to the visiting time to be processed into visitation, if you do not do this you will not be allowed to visit. Unit 1 Community Custody Unit has visitation on Saturdays, Sundays and State recognized holidays from 9am-12pm, and again at 2pm-5pm. Unit 2 C Tier only RDU has visiting on Thursdays from 9am-12:45pm, Saturdays from 9am-12:45pm, and Sundays from 2pm-5:45pm. Unit 3 has visitation on Thursdays from 9am-12:45pm, Fridays from 2pm-5:45pm, and Saturdays 9am-12:45pm. ​Unit 4 A Tier only closed custody has visitation on Fridays from 9am-12:45pm, and Sundays from 9am-12:45pm. Unit 5 has visitation on Fridays from 9am-12:45pm, Saturdays from 2pm-5:45pm, and Sundays from 9am-12:45pm.